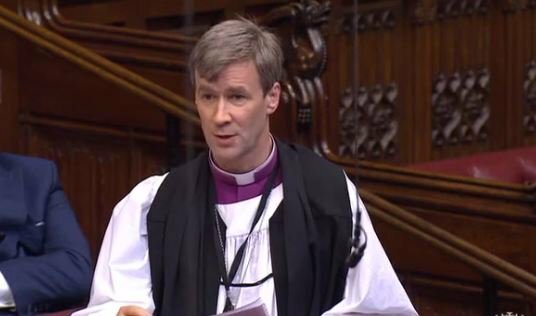 On the 3rd July 2017, the Bishop of Truro, the Rt Revd Tim Thornton contributed to Baroness D’Souza’s debate: That this House takes note of the case for measuring the impact of the United Kingdom’s development aid budget. In a wide-ranging speech, the Bishop spoke of the importance of guarding against thinking about aid spending simply as a financial investment. The Lord Bishop of Truro: My Lords, I am grateful to the noble Baroness, Lady D’Souza, for initiating this debate on such a very important and topical issue. On 7th March 2017 the House of Lords considered the Government’s EU (Notification of Withdrawal) Bill at Report. A vote was held on an amendment from Liberal Democrat Peer Lord Newby to hold a second referendum on the outcome of Brexit negotiations . Seven Lords Spiritual took part. On 7th March 2017 the House of Lords considered the Government’s EU (Notification of Withdrawal) Bill at Third Reading. A vote was called on a Liberal Democrat motion that the Bill should not pass.Six Lords Spiritual took part in the vote.